Jason currently resides in Airdrie, Alberta Canada with his family. He’s been involved in Christian ministry since the age of 15 years old, knowing it was his life calling. Jason has a heart to see the Message of the Kingdom fully preached in signs, wonders, and miracles. That the power of the Holy Spirit would be evidently demonstrated in everything we do as followers of Jesus Christ. He desires and pursues to co-labor with the Lord and His Church in the powerful expansion of His Kingdom on the Earth. If you haven’t already gotten sucked into the hoopla as of late, a number of worship leading forums and blogs are abuzz with discussions (even heated arguments) over whether or not worship teams should be using music stands on the stage? And to be quite honest, as a worship leader for over 25 years now, I’m kinda done with it. Guess what? I use a stand, there I said it, “I use a stand.” Do I judge you if you do not use a stand? Nope. And in fact I think it’s cool if that works for you, in fact I admire that you can do that; but it doesn’t work for me. I have a very poor short term memory; therefore it helps me to have a reference if I should need it. Would it be a good idea for those of us who use stands to not stare at them the whole time, and look up at the congregation once and awhile? Absolutely! But on the other hand, it’s not a moral issue if we do not. I remember being in a worship service years ago that was absolutely powerful, the presence of God was so strong in the place where we were meeting. And the worship leader, whom I knew as a shy individual, never looked up once from his music stand. Yet God moved powerfully; imagine that? Could it be that we have become so enamored with principles of performance, that we have lost touch with the principle of his Presence? Here’s where I really take issue…. 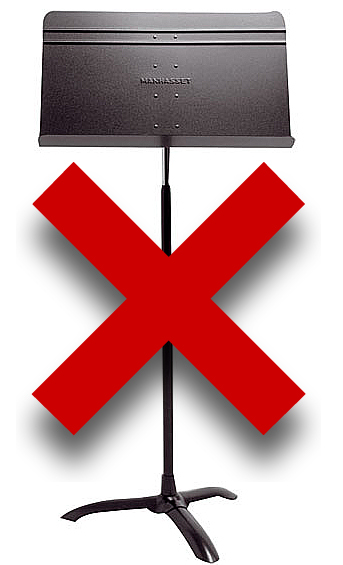 when people look down on you as “less than” because you use a music stand is downright silly. Yet it has happened to me personally. We need to watch that we are not given to a kind of snobbery, or a “better than” attitude, when it comes to our chosen methods of ministry. A method is just that… A method. Would you go to a symphony and think, “Wow, obviously none of these musicians know what they’re doing, because they’re all using music stands.”? Of course not, in fact they are doing what they know how to do with excellence, yet they are using music stands. One of the foremost reasons for getting rid of stands is based on the argument that you do not see the bands at concerts using them. Well of course you don’t because they tour, practice, jam, and record together day in and day out. That’s their lives, they’re a band. They eat, live, and sleep their songs. So one can expect that they will know them. 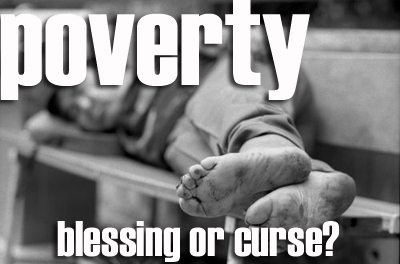 This includes mega church bands that are on staff full-time as band members and singer-songwriters. However, churches that aren’t mega, are using volunteers who work other jobs during the week; they have one night of practice mid-week before playing that Sunday. The glaring reality is that most Churches are not “mega” and do not have the level of resources to work with like larger Churches with staffing to “the nines” do. Excellence is doing the best you can with what you have. Not frustrating willing volunteers with a goal beyond available time and resources. Now here’s an honest question… can we just get to worshiping God, without arguing over how we should or should not do it? We’re not all the same, God made us all different; all worship music is not meant to fit some strict “Mega Church” cookie cutter set of guidelines. Everyone’s expression is not meant to look the same. It’s the “manifold grace of God”, One source of inspiration, but many expressions. This is what it all boils down to; if you’re church uses stands great! If they do not, also great! But let’s stop treating it like it’s a moral issue, instead of what it really is; a matter of preference. Nuff said…. 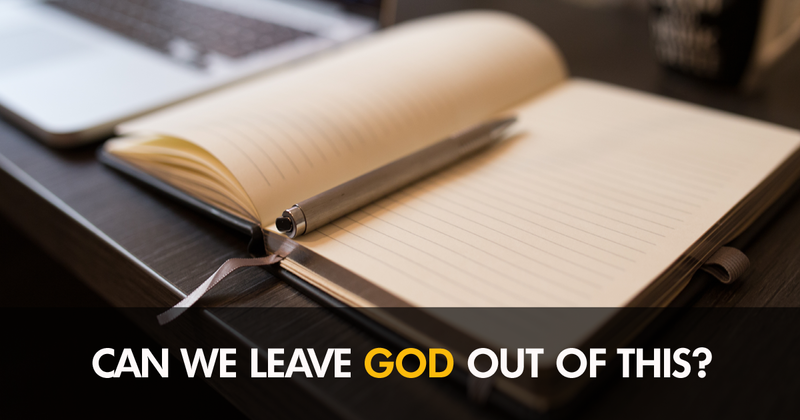 let’s move on with things that really matter, like simply having hearts after God, and using our talents to the best of our ability and resources to do it.